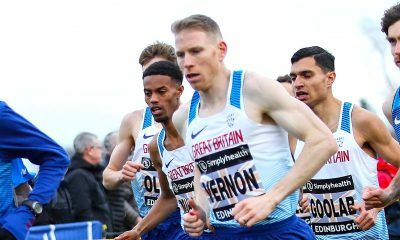 The cream of the British running crop will be descending on Telford this Sunday for one of the hottest 10k fixtures of the year. 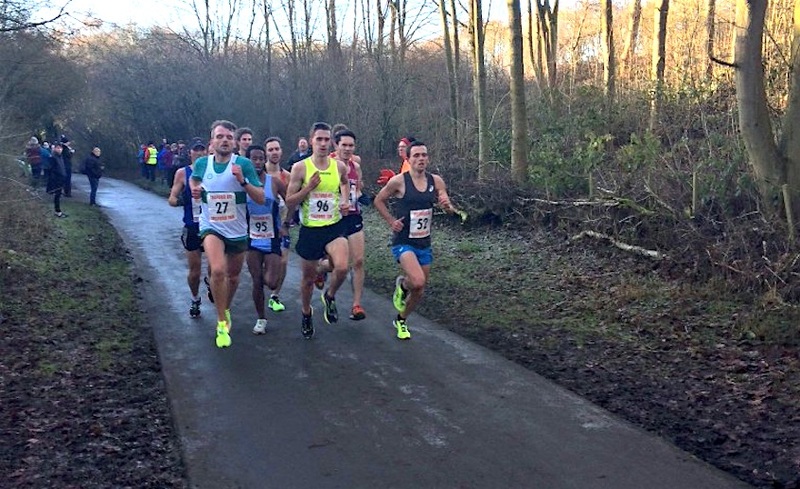 With record entries and the most competitive field to date – despite it clashing with the European Cross Country Championships in Tilburg – the course records at the Telford 10k could be under threat on Sunday (December 9). Weather conditions are forecast to be unseasonably mild and still, and, with a host of international stars set to push each other to the limits on the two lap course, the fastest times of the year on domestic soil could be in the making. The fastest PB in the men’s field is held by Dorking & Mole Valley’s ace, Luke Caldwell. The Scotsman scorched to a 28:29.61 best on the track at the 2015 Payton Jordan Invitational, and has dipped comfortably under the 30 minute bar three times already this year. He was sixth at the rearranged 2017 race, which was held in January this year due to ice and snow on the course on the usual December date. Caldwell’s season’s best this year is his 29:18.17 at the Highgate Harriers Night of the 10,000m PBs in May. 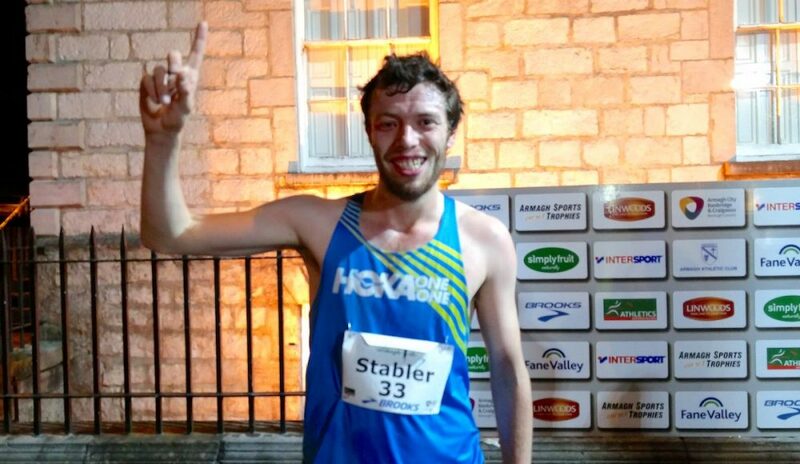 Boasting the fastest 10k road time this year in the impressive field is Wreake & Soar Valley’s Sam Stabler, who ran his 29:09 PB at the Parelloop 10k in March. The Leicestershire athlete also won the Armagh International 5k in 13:59 in February, as well as last year’s Leeds Abbey Dash in 29:13. Cardiff AAC’s Ieuan Thomas earned his 29:13 life time best at January’s Telford 10k when finishing runner up to Charlie Hulson. The talented steeplechaser – who holds an incredible 8:30.16 PB for the 3000SC – was seventh at this year’s Commonwealth Games on the Gold Coast. He pulled on the GB vest once again at the European Athletics Championships in Berlin in August, so is used to performing under pressure. Ollie Lockley has enjoyed a breakthrough year in 2018, running his 30:18 road PB when winning this year’s Great Ireland Run. 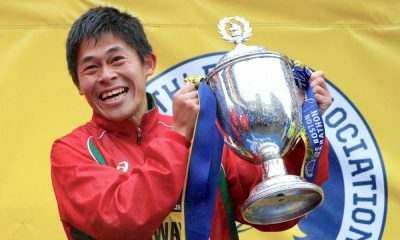 The Leeds City athlete dominated the Isle of Man Easter Festival races, winning every single event. His track best over 10,000m is an impressive 29:15.45 from the Highgate Harriers event in May. Thames Valley’s Petros Surafel was third in January’s Telford 10k, which is also when he earned his 29:21 best over the distance. Surafel rose to a more national prominence when making the podium at October’s Great South Run, his 48:05 good enough for third in the televised event. With 100 men indicating their intention to break the 31 minute mark at Sunday’s race, there is a huge range of talent set to battle it out for the minor positions. 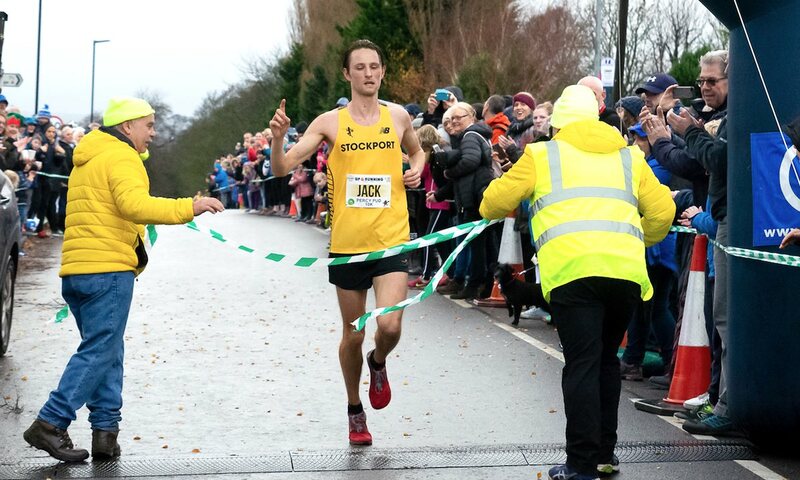 Jack Martin from Stockport won last weekend’s Percy Pud 10k in a 29:13 PB, although his 10,000m best is 28:52.78 from this year’s Gouden Spike in Holland. Aldershot, Farnham & District’s Josh Grace won the event in 2016 with a 29:21 lifetime best, while Lincoln Wellington’s Lucian Allison is in the form of his life. Allison followed up a dominant victory at October’s Peterborough Half Marathon with a third place at last month’s Leeds Abbey Dash 10k in a 29:33 PB. Southampton’s Alex Teuten is also entered, and, assuming he has recovered from rolling his ankle at the Liverpool Cross Challenge race, his PB of 29:52.29 from last year’s Highgate 10,000m suggests he could challenge for a top 10 result. 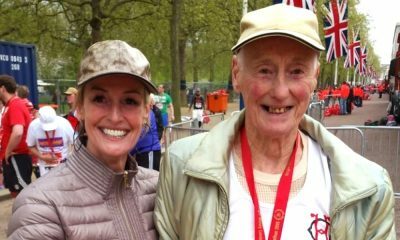 Jack Gray has consistently run within half a minute of the 30 minute mark and, if he can manage to avoid a reoccurrence of the stomach problem he often suffers with in races, he could also be in the mix. Blackheath & Bromley’s Scott Overall is a class act, but, while he has one of the fastest PBs in the field – 28:49 – that dates from seven years ago. Nevertheless, he ran a useful 29:48 in March, so he could be on better form than his recent race results suggest. It remains to be seen whether Chris Davies’ 28:52 course record from 2003 will still be standing on Sunday, but, with the hugely popular event including the additional competitive element of an Inter-Area match (with selected athletes representing the Midlands, North of England, North Wales, UK Armed Forces and Birmingham University), there will be no holding back at the sharp end. The highlight of the women’s elite field is undoubtedly 2008 Olympian, Kate Reed. 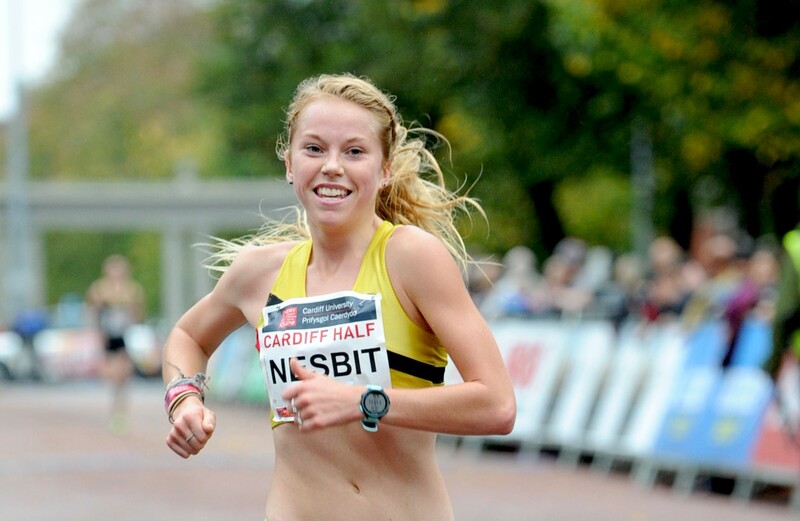 The Bristol & West star made a very welcome return to competitive running this winter, with an 11th place at the Cardiff edition of the British Athletics Cross Challenge series in October underlining her serious intentions. Reed followed that performance up with a 16:05 5k in Romania last month, before posting a promising 33:29 at the recent Wilmslow 10k. The Beijing Olympian’s PB of 32:07 dates back to 2007, but, having battled back to fitness following years of Achilles tendon injuries, it’s clear this determined athlete still has plenty to give. Worcester’s Jenny Nesbitt will be fighting Reed for the title after having a superb year on the track, with a Commonwealth Games final performance the highpoint of the Hoka One One athlete’s career so far. The young Welsh star ran her 32:38.45 10,000m PB at Highgate this year, so clearly has the speed to challenge for the top podium prize. Fellow Hoka athlete Louise Small went even quicker at the European Cup event in May, posting a 32:34.73 lifetime best just a month after recording a 33:20 road 10k PB in Poland. The Aldershot, Farnham & District ace is consistently a class act, and, with a 15:40.5 5000m best, cannot be ruled out for the title. Another sub-33 minute talent to watch is Leeds City’s Claire Duck. Although she has only run 34:00 on the roads, the fact she has posted a 32:52 10,000m this year and a 32:51 last year – both at Highgate – shows she has the legs to go much quicker than her Leeds Abbey Dash PB suggests. Duck’s club mate Bronwen Owen will be debuting over the distance in the West Midlands event, but with a 16:17 5k best from this year’s Manchester Sale Sizzler under her belt, she could be a dark horse in the race for the top spoils. Other exciting talents to watch will include Birchfield’s incredible success story Hayley Carruthers, who has improved from 43:47 two years ago to 34:05 at this year’s Vitality London 10,000m. The former Rotherham Harrier has topped the world parkrun top 10 rankings twice already this winter with a 16:24 best recorded last month. Her 2:36:48 marathon PB from October’s Toronto race shows she has huge potential to upset the bookies’ predictions. 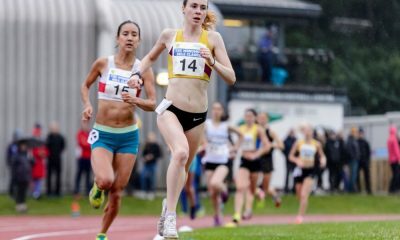 Josephine Moultrie from Victoria Park City of Glasgow AC and Danni Nimmock from City of Norwich are also set to challenge for a podium place, the latter finishing third in January’s event with a 33:44 PB, behind Caryl Jones’s 33:18 and Faye Fullerton’s 33:26.